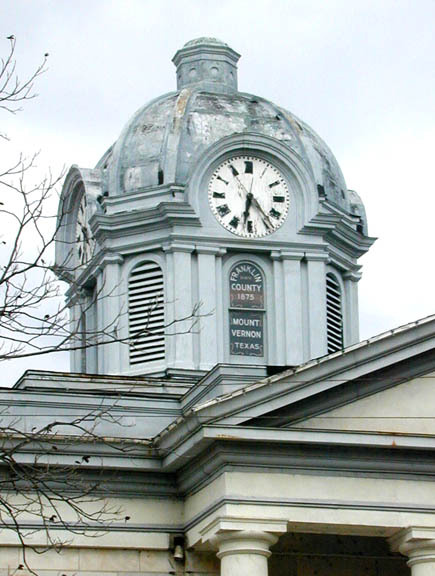 Franklin County contracted with the Museum to do a full restoration of their E. Howard tower clock. The entire courthouse was undergoing extensive renovation. The county seat is Mount Vernon in north east Texas. 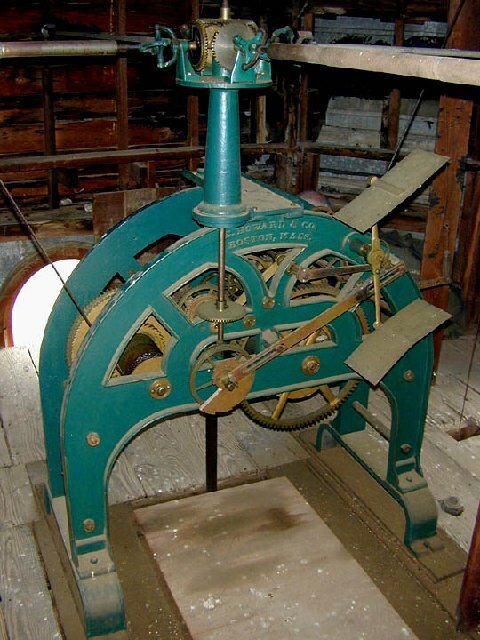 The clock was fully mechanical with no electrification for any functions. 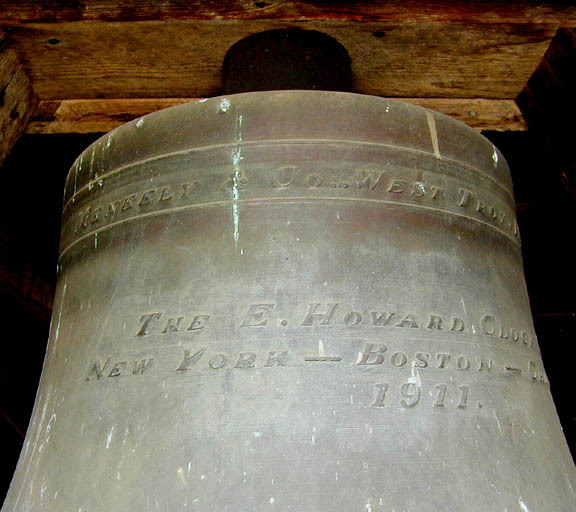 The weights are hand cranked and the eight foot pendulum hangs below floor level. We were delighted to find an E. Howard tower clock that is all original.